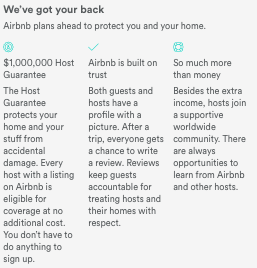 Airbnb shares how you can get more exposure for your property by listing it on airbnb.com. More than 80 million people have travelled on Airbnb so listing your property gives you access to a broad base of customers who love to travel. It is free to list and Airbnb only charges a 3% commission. Founded in August of 2008 and based in San Francisco, California, Airbnb is a trusted community marketplace for people to list, discover, and book unique accommodations around the world — online or from a mobile phone or tablet. Whether a spare bedroom, an apartment, a villa or a private island, Airbnb connects travelers to a more diverse and authentic range of experiences in over 34,000 cities and 190 countries. 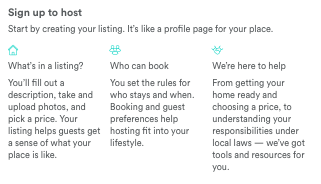 Ordinary residents – “hosts” – can list their own homes on the Airbnb website. They create online profiles for themselves and for their property, choose their own price and availability and set guidelines for guests. Increasingly we are seeing that unique properties do really well and that it has become and avenue for small lodges, tented camps, tree houses etc. The key thing is that there is a host who can communicate with and welcome guests and that each bedroom is unique. Guests search for hosts and properties that meet their criteria – dates, location, number of beds or rooms, wifi, breakfast included, etc. 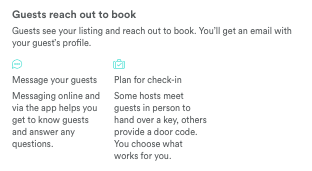 Hosts and guests can learn about each other through information provided on their Airbnb profiles, including past reviews, photographs, and identity verification. 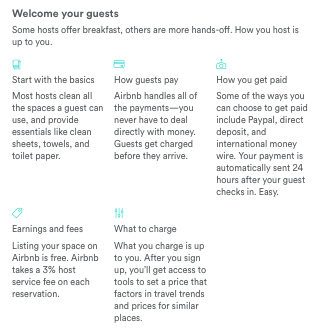 Additionally, hosts and guests can communicate with each other through the Airbnb website, to discuss travel dates, expectations, and price. 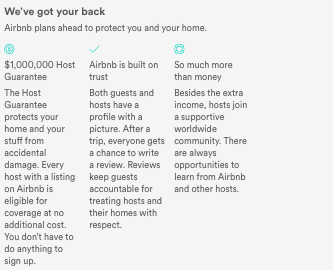 Airbnb facilitates the entire financial transaction and holds onto the payment until 24 hours after the reservation begins to make sure both guests and hosts are happy before the payment goes through. Hosts keep 97% of booking fees, and guests pay a 6-12% fee to Airbnb. After the stay, both hosts and guests leave reviews for one another. The reviews are public for all future hosts and guests to read. If you’re still not convinced, hear what President Obama had to say about Airbnb. Who can list on Airbnb? Anyone with a bedroom, an apartment, a small guest house, B&B, lodge or self catering accommodation. What is important is that there is a host to facilitate the guest experience, and that each room needs to be listed separately unless you are renting out the whole place. Would you like to become a host? Click here for more information on how to become a host. Where do I go to list my space? If you have any questions, feel free to contact velma.corcoran@ext.airbnb.com or go to https://www.airbnb.com/help. ResRequest does not currently have an integration with Airbnb, but do let us know if this is something that you would be interested in. Changes that impact your email What are connections?